A foundation set up last November organises courses to help those who lost everything in the 2013 attack against the All Saints Church. Those who pass the final exam, get a diploma and a sewing machine to start working right away and lead a “dignified life”. Lahore (AsiaNews) – "My parents died in the suicide of the church in Peshawar,” said Sonaikha Nazer, a 14-year-old Christian girl. “We are four sisters and two brothers. I am studying in high school and my uncle takes care of us. In addition to a school education, I decided I wanted to learn to cut and sew. So I went to the Cecil & Iris Chaudhry Foundation’s (CICF) Skill Development Centre. The foundation has taught me a job that allowed me to become self-sufficient and I am very grateful." Sonaikha is just one of the orphaned girls and widowed mothers who enrolled in the ‘Women Empowerment Programme’ launched in November by the CICF, a charity set up to help the families of the victims of the September 2013 attack against the All Saints Church in Peshawar, which killed more than a hundred people. 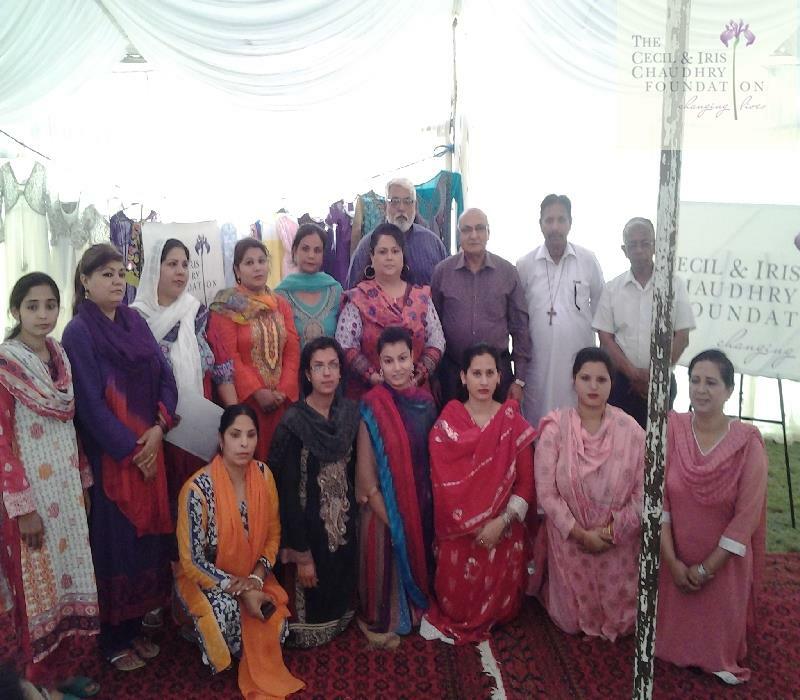 At a ceremony held on 22 May, 19 women who completed the three-month cutting and sewing course with the final exam (both practical and written) received their diploma. In addition to the diploma, each participant got a sewing machine with a one-year warranty. This way, they can start immediately. May’s course was the second since the programme began. A third started on 27 May and will end in July. The foundation expects to train 80 women by next November. CICF president Michelle Chaudhry is proud of the work done. "Only a year ago, they were weeping uncontrollably, hopeless, frightened and insecure. At present, we see them smile again, full of hope and empowered, financially able to support themselves and their families. " Shakeela Khalid, a Christian widow, completed the first sewing class. "I lost my husband in the attack on the church in Peshawar,” she told AsiaNews. “I have four children, all in school. I had to look after them and it was very hard. I heard about the centre and I enrolled in the first course. I completed it three months later, in March 2015." "When I got the certificate, they gave me a sewing machine,” she said. “Now I mend clothes, sheets and pillows cases that are sold in a market near my home. This guarantees me a good revenue and I am very grateful to the CICF for giving me the opportunity to learn this manual skill and live better and independently. " "We are two sisters and my mother was injured in the explosion,” said Melwish Arif, who lost her father and brother in the 2013 suicide attack. The 2013 attack cost Miriam her son Victor. “My son was the family member who earned the most, and my daughter was injured as well,” the Christian widow told AsiaNews. “I was accepted in CICF’s second sewing course. Now I am going to have a contract with a private school in Peshawar to mend school uniforms. God bless CICF for allowing us to lead a dignified life."